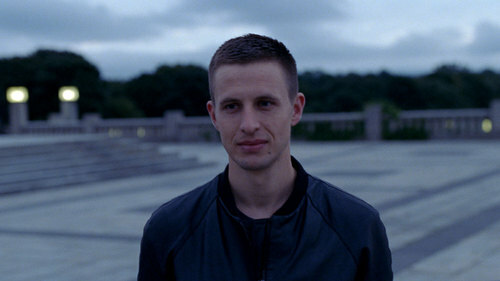 I can’t stop thinking about the men in Norwegian director Joachim Trier’s films — specifically the delicate acting of Anders Danielsen Lie. For over a month now I’ve been trying to put my finger on what it is about the actor’s that seems so refreshing and surprising, and makes me so determined to write about it. Here’s what I’ve decided: Lie performs emotional fragility better and more unpredictably than any male actor I’ve ever seen, such that I’m considering altering my list of annual La Jefita awards to include one for The Year’s Best Honorary Female Actor. Lie had a prominent role in Trier’s first feature, Reprise (2006, which is streaming on Netflix) as a successful young novelist who suffers a severe emotional breakdown following the publication of his book. Trier followed up that critical success with the remarkable Oslo, August 31 (2011, making its way through theaters as I write), which stars Lie as a recovering addict given leave from his rehabilitation clinic for 24 hours. I find it hard to untangle these two roles — not because Lie’s acting is so similar, nor because the films are similar (they’re not), but because certain narrative details dovetail in my memory and tease at my consciousness. In each the young man seems on the precipice, uncertain whether he will embrace adulthood, life, change, or accept defeat. In both he’s utterly entranced by a woman, and his impending choices hinge, in part, on how he will resolve that love and longing for her. The way he wrestles with the push-pull of love and life choices seems more definitive of a certain phase of masculinity than anything I’ve seen onscreen in ages. But most of all these parts meld together because of the way emotion passes through Lie’s face, and the way he can turn on a dime from one emotion to another. His skinniness, close-cropped hair, prominent nose, and pouty lips give him a youthful look that belies his real age (he is now 34), and he has a way of looking up at his fellow actors with a wide-eyed trust and uncertainty that makes him appear almost like one who has not yet learned to control his own facial expressions. When a big smile or laugh transforms his face, he can look either heartbreakingly eager to please, or insane. All of these facial expressions are so naked as to seem almost embarrassing. They indicate a youthfulness that isn’t yet hard and cold, but neither is it strong or emotionally stable. You will not forget what happens next, as the smile leaves his face. It is witnessing this alteration that cuts you inside. Suddenly — too quickly — something happens within his character such that the look on his face changes, like a light going out in the room. You find yourself alarmed on his behalf. You feel the character is capable of anything — violence, self-harm, or (worse) nothing at all but folding up inside — and you feel that you cannot blink lest you miss the minute permutations of emotion that pass transparently across that face. I’ve never seen an actor get so much mileage out of letting a smile fade. Suddenly the whole room has a chill, and with that one change the scene’s dramatic tension rises precipitously, and you find yourself more on edge than ever. If I were being fair, I would have begun this post by telling you how much I’ve fallen under the spell of these two films, especially Oslo — so much so that I’m not sure I can wait another five years for Trier’s next. If I were being fair, I would also sing the praises of Espen Klouman-Høiner, who appears as Lie’s best friend in Reprise and does his own bit of delicate, feminine acting as he wrangles with demons and adulthood — or is it the demons of adulthood? I never write about films that feature young white men emotionally adrift, because such films are almost always over-determined and banal. I can’t emphasize enough that Trier’s characters remove everything stereotypical about such a position. Even when these films reveal the men’s cluelessness about women, they don’t turn those women into harridans, manic pixie dream girls, objects of fantasy, or hangers-on. Best of all, the actors showcase these men’s almost-feminine fragility, a gentleness and propensity to crumple and behave unexpectedly that I find riveting onscreen. U.S. directors, take note. This is what we’re capable of seeing when men aren’t just stereotypes. This magnificent piece of acting takes place when men don’t try to be hard and self-controlled, when men don’t have to stand alongside women who are mere tropes. This is remarkable. See these films, and tell me if I’m wrong in characterizing Lie’s spectacular range of emotion as feminine — and be assured that this description doesn’t mean he’s effeminate. Rather, this is my highest compliment for a stereotype-breaking breadth in acting. Thanks for the reommendation. I’ll watch it soon.